Is the Internet the “Paris” of the new millennium? The start of my tour is Paris, where I have spent the past couple of days at Loic Le Meur’s annual celebration of the Internet, the Le Web conference. I have been here before, and each time it gets bigger. There are more people and many more startups. And it is only going to get bigger from here. Even the French president, Nicolas Sarkozy, who in the past has turned his aristocratic nose at the Internet (we will bring civility to the Internet, he once famously said) and has a much bigger mess on his hands to deal with now, made time to meet and greet the “entrepreneurs” at the Élysée Palace. I am told the reason for this newfound love for the entrepreneurs stems from U.K. Prime Minister David Cameron’s wooing of the tech-types in London. The outgoing Irish leader has also embraced the digerati. Much as the politicians are, famous people such as Lady Gaga, singer Selena Gomez and others are trying to cozy up to the tech crowd. What gives? Is it because Internet startups have become the new cool? A new obsession? The answer is yes, to both questions. 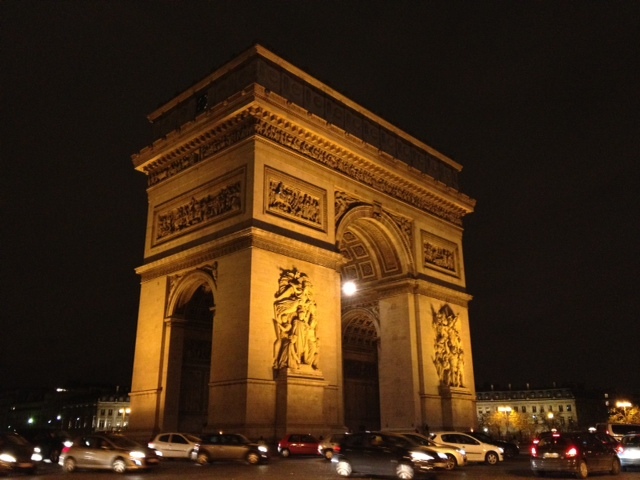 “I think a lot of young people in France realize that trying something new, entrepreneurship is the only way forward,” Ouriel Ohayon, co-founder and CEO of mobile apps discovery service, AppsFire, said over dinner at the 24-hour La Braisiere, a stone’s throw from Arc de Triomphe. The reason, he says is simple: It’s the only way to grow. Niklas Zennstrom, co-founder of Skype and more recently of Atomico, a European venture fund, pointed out that in the past, it was safer to get a job a large company and be secure. Today, no jobs are stable or safe. Big banks, large auto companies, media companies and other businesses are being upended by the Internet and its deeper penetration into our daily lives. In the slowly waning industrial era, globalization meant large companies going to new markets and imposing their will. In the Internet era, small companies are instantly global, bending to the needs of the customer. The current debt crisis that’s sending shockwaves through Europe has come at an inopportune moment for the world — and for now, it seems everyone has turned their eyes on the startups, especially the Internet kind of startups. Nevertheless, all this talk about startups and the pedestals entrepreneurs are being put on made me wonder about another gilded age: Paris in the 1920s. I did my research: i.e., went and watched Midnight in Paris by Woody Allen. My takeaway from the movie: In the 1920s, the artists and creatives were the celebrated lot, and their stories and their work worthy of the attentions of great writers who themselves were the experimenting creatives. Remember that Ernest Hemingway, James Joyce and Ezra Pound made their name writing about the 1920s (and 1930s). Paris during that time was an incubator of ideas and thought experiments in art and literature. The Internet of today is going through that same incubation of ideas and experimentation. Today, we are lavishing similar (if not more) attention on folks like Mark Zuckerberg (Facebook), Jack Dorsey (Twitter), Brian Chesky (AirBnB) and Kevin Systrom (Instagram). Their works have started to influence millions, though it is hard to stand here and predict that these creations will have the enduring impact of the works of Dali, Matisse and Picasso. Perhaps this is the new reality: On the Internet, nothing lasts forever. Their success has given more artists (aka entrepreneurs) the impetus to come out and try new ideas. Of course, it has brought its share of court jesters, flim-flam artists and greedy people. Nonetheless, the frenzy is immense. It will be a few years before we will realize if it was all really worth it, and if anything was done. For now, as I sit in the departure lounge, waiting for my flight to Berlin, I cannot help but think: The Internet itself is the new Paris. So now you know, why I was harping on about “code is poetry.” And coders are the new artists. Disclosure: Matt Mullenweg’s company, Automattic is backed by True Ventures, an investor in GigaOM and also a firm where I am a venture partner. Is the Internet the â€œParisâ€ of the new millenium?